Ryan Padraza Comes Last is a full-blooded Indian, Sioux and Cheyenne on his father's side and Assiniboine on his mother's. He will soon receive his Lakota name: "A Rope." (Comes Last raises rodeo horses and always has a rope in his right hand. He likes to call Ryan his "right-hand man.") 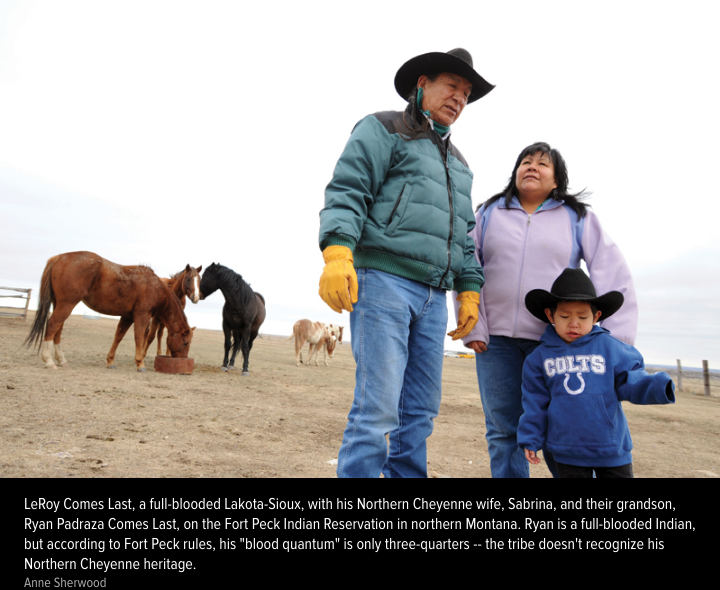 But despite his traditional roots and his Native heritage, Ryan may be one of the last of the Comes Last line allowed to enroll as a member of the Fort Peck Tribe.